This 32P 15T steel replacement pinion is designed specifically for your Clodbuster racer. It provides your truck with an increase in overall speed compared to the stock 13T pinion. 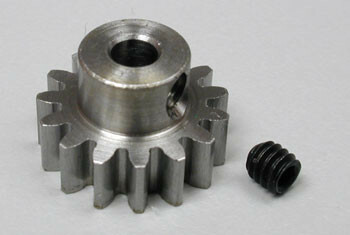 Two pinions would be required to complete the front and rear gearboxes. This product was added to our catalog on 01/07/2013.